In the redware stew pot is the receipt (recipe) for To stew Chickens. 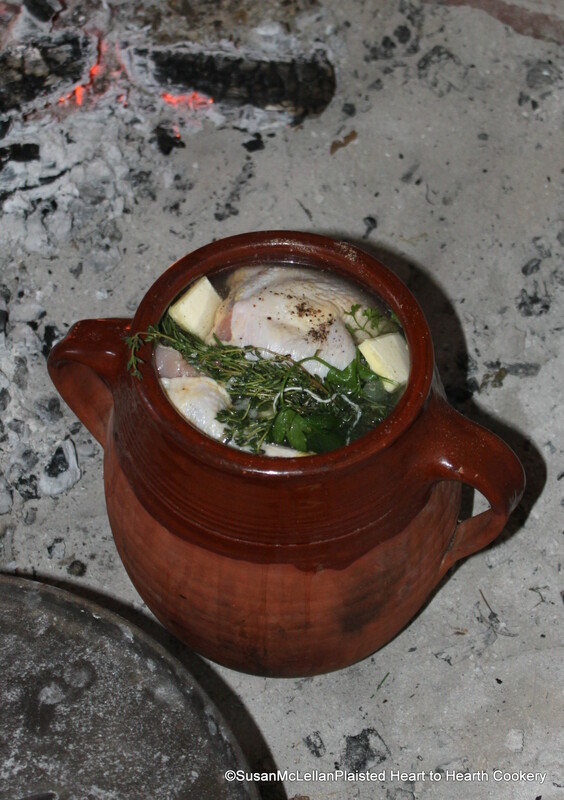 Quarter your Chickens, and put them into White-wine and Water, but let there be no more Wine than Water: stew them ’till tender, then add a good Quantity of Butter, a Bunch of Sweet herbs and large Mace. The stew pot was covered with large cabbage leaves and turned to heat evenly in the corner of the hearth.